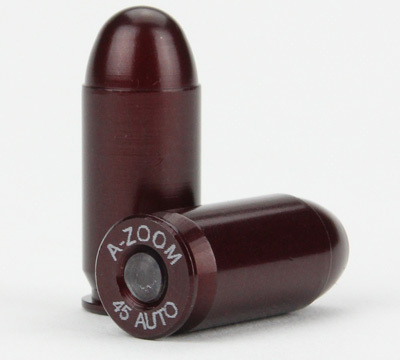 A-Zoom Snap Caps are a great choice for safe function testing, magazine changing, drills and dry firing practice to improve your shooting accuracy and timing. They also provide a great tool for teaching safe firearm handling and for gunsmithing activities. Precisely-dimensioned A-Zoom Snap Caps are CNC machined from solid aluminum and hard anodized. 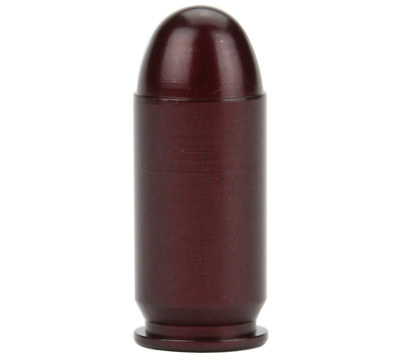 This package contains (5) .45 Auto A-Zoom Precision Pistol Snap Caps. Made in the USA by Lyman Products.